The pH of water is a master variable because many reactions that control water quality are pH dependent. Normal waters contain both acids and bases and biological processes tend to increase either acidity or basicity. The interactions among these opposing compounds and processes determine pH. Carbon dioxide is particularly influential in regulating pH. 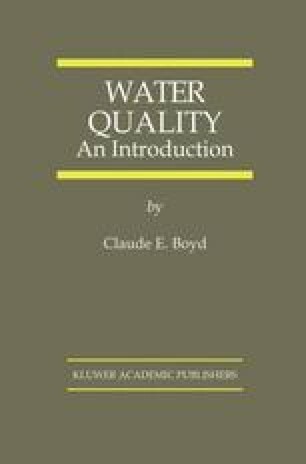 It is acidic, and its concentration is in continual flux as a result of its utilization by aquatic plants in photosynthesis and release in respiration of aquatic organisms. The alkalinity of water results primarily from carbonate and bicarbonate ions, and this variable tends to buffer water against excessive pH change. A basic understanding of the relationships among pH, carbon dioxide, and alkalinity are essential to the student of water quality.